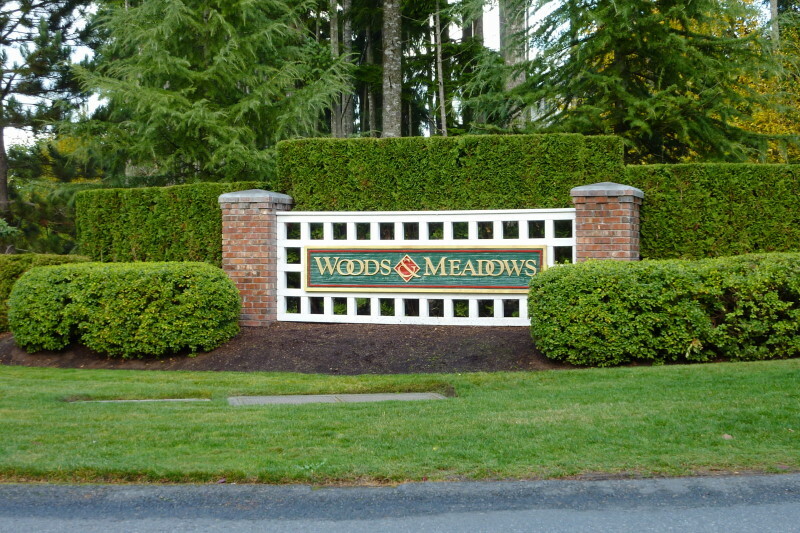 Woods & Meadows is a lovely community located in a suburb just North of Poulsbo, and is close to Hwy 3. Commuting times are short being only 10 minutes to Poulsbo and about 15 minutes to Naval Base Kitsap at Bangor. 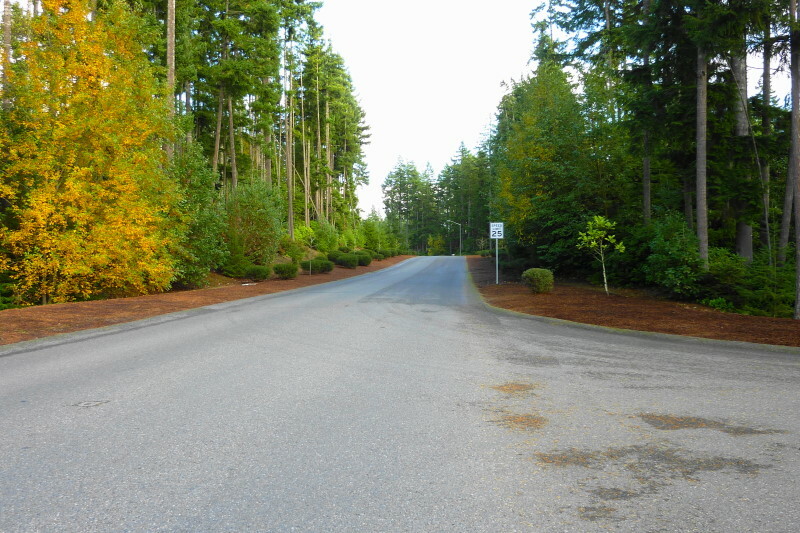 Silverdale, which is the location for the Kitsap Mall, is just an additional 5 minutes from there. 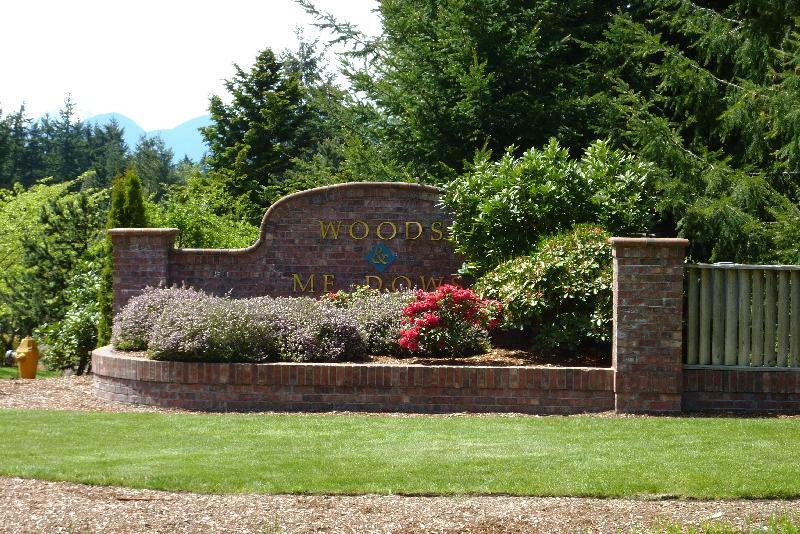 The 141 homes in Woods & Meadows are situated on an average of nearly 1/2 acre lots, which are all nicely landscaped and maintained. An attractive aspect to this neighborhood community is the spacious sophisticated rural feeling throughout the community. This is due to brilliant planning and the fact that there are over 60 Acres of common areas including parks, trails and nice wide streets with landscaped and forested islands. 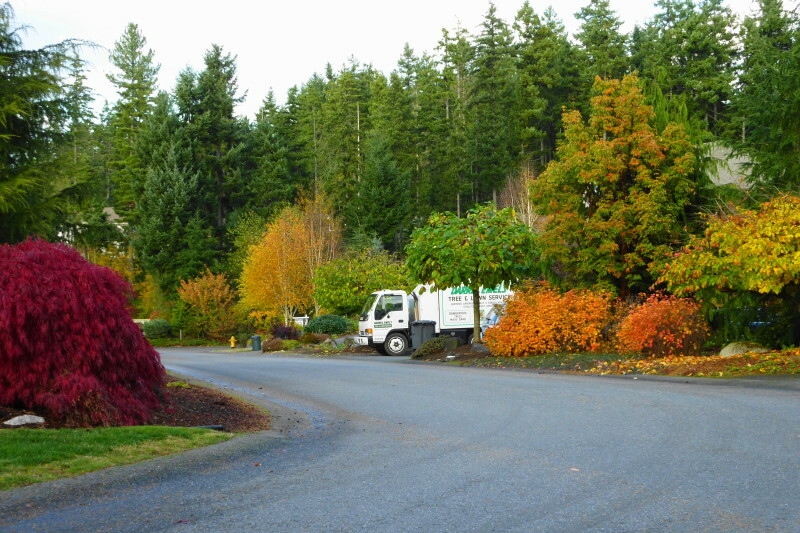 The Woods & Meadows subdivision was originally developed by the Chaffey Corporation previously based in Silverdale, WA. and the first home was built here in 1993, while the last was built in 2004, however; most were built around 1999 (that’s the median and average year built). Over 90% of the homes were built by the Chaffey Corporation, but over the years they did sell about a dozen lots to other high quality builders which maintained the continuity of quality design & construction in the community. 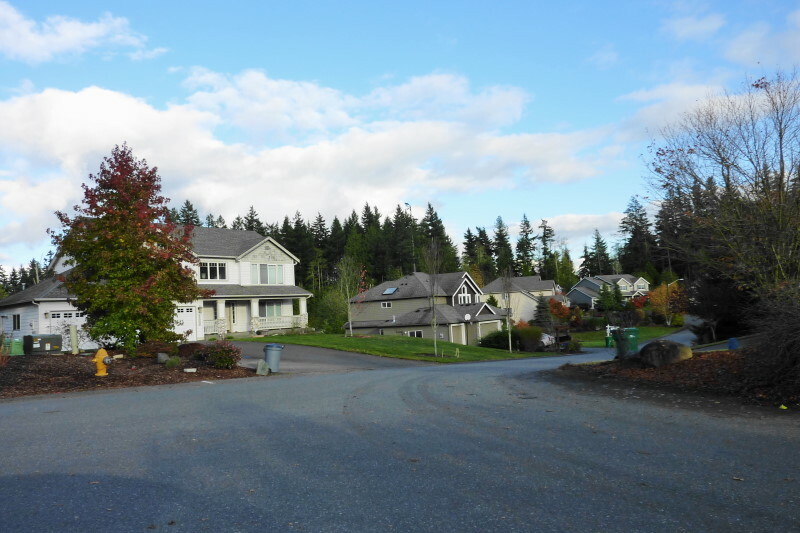 Street view of 23790 Brixton Place NW, Poulsbo, WA 98370. 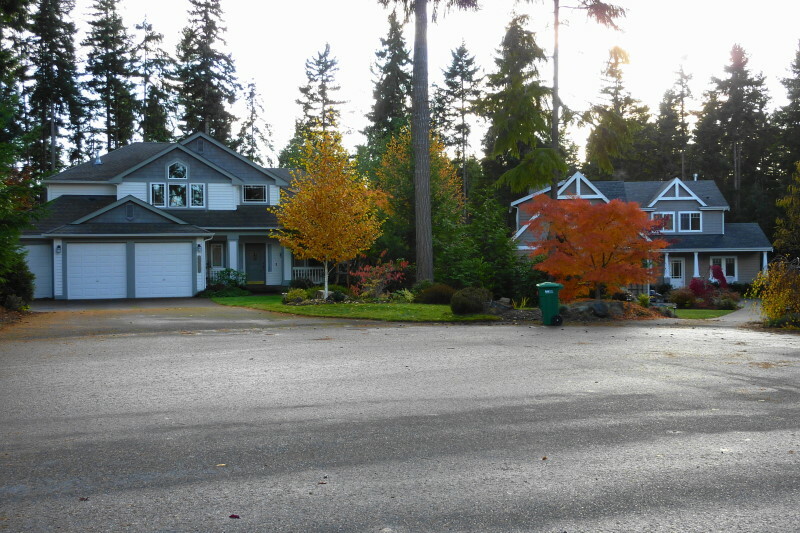 2703 Sq.Ft., 3bdrm/2.5bath, 1/2+ Acre. Living Area (Avg.) 2902 Sq. Ft. Living Area (Median) 2818 Sq. Ft. Gross Area (Avg.) 3647 Sq. Ft. Gross Area (Median) 3526 Sq. Ft. The tax assessed valuations are increasing but not keeping pace with the rapid market value increases. Upon reviewing the Asking and Sold home prices in the Woods & Meadows community, the actual price gains in the market have been tracking well above the valuation increases from the tax assessor. Currently as an estimate, it appears the average selling price is more than 30% above the average 2016 Tax Assessed Value and they are also selling for above the estimated Auto Valuation Model. Homes in Woods & Meadows are in high demand and there are not enough available for the buyers who would like to live in this community. If you want to be a successful buyer in this neighborhood, you’ll most likely need to come in with your best foot forward and make your offer as strong and tight (minimal contingencies and shortened timelines) as possible. You also may need to be prepared to compete with multiple offers, but this varies from time-to-time and is property dependent. It’s important to note that while both the Tax Assessed Valuations and the Auto Valuation Models can be instructive about home values, these numbers may not be keeping pace in real time with what is actually occurring in the market at any given time. The AVM, values are calculated more recently than the Tax Assessed Values, but they are based largely upon a statistical sample and do not reflect special individual home features, upgrades or undocumented unique characteristics. The true market value is dependent primarily upon the recent most comparable sales, and then appropriate adjustments made. The best way to obtain the current value of your home without paying for a full appraisal is to contact your Real Estate Broker and ask for a current CMA. If you don’t have a Broker you prefer, or one are currently working with, my partner Jana Salmans or myself would be very happy to assist you. Just give us a call or e-mail us, our contact information can be found at the top main menu and we will be happy to assist you. 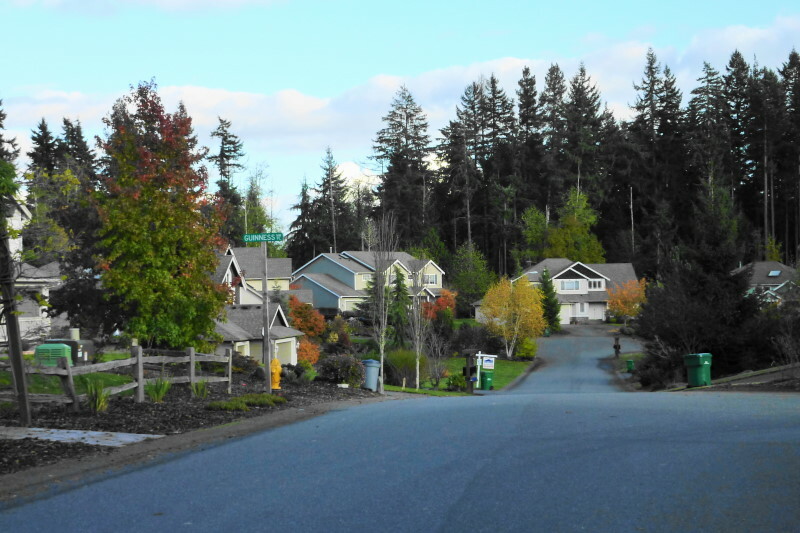 In the table below you’ll find data about the Homes that were Sold in the Poulsbo Neighborhood of Woods & Meadows year to date through 5-4-2017. So far in 2017, there has only been one closed sale in Woods & Meadows. There are, however; 2 Pending Sales and One Active available listing. For these properties that have not closed, the list price, is all that is currently available. The prices will be updated after they close. Time on market before an offer has been received is averaging about 17 days on market and the one Sold listing closed for $10,000 above the asking price. In the table below you’ll find data about the Homes that were Sold in the Poulsbo Neighborhood of Woods & Meadows in 2016. In 2016, the average selling price was $472,000, which is about 1% above the average asking price. The average “days on market” before a sale was 27 but the median was 20. 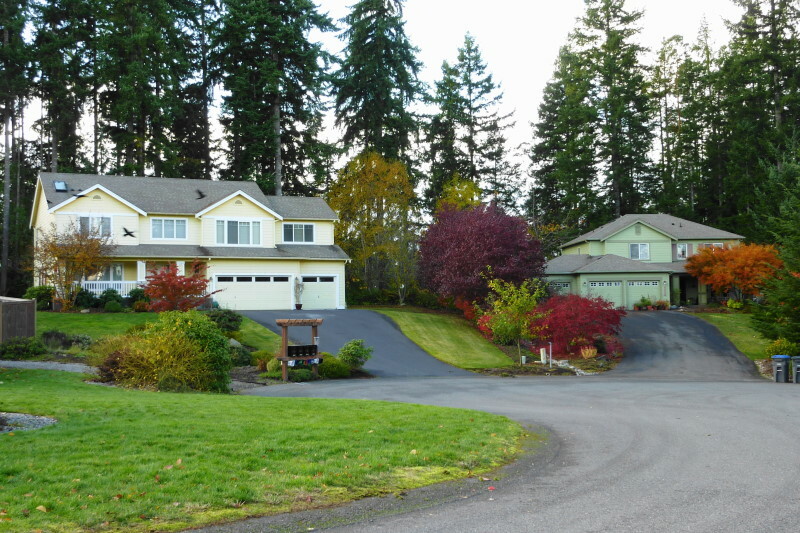 These factors combine to indicate strong buyer demand for homes in Woods & Meadows. In the table below you’ll find the Sold Homes in Woods & Meadows for 2015 from January 1 through July 19, 2015. So far, this year, the average selling price compared with the initial asking price is about 1.86% lower. Of the Sold homes, 4 Sold for a bit lower than the initial asking price, but 2 Sold for above the initial asking price and 1 sold for exactly the initial asking price. Moving forward for the remainder of the year I expect prices to firm and there is likely to be less discounting simply due to low supply and strong demand. 6/4/2015 1562 NW Archway Ct.
6/29/2015 1232 NW Arcadia Ct. In 2014 there were 7 home sales in Woods & Meadows. Prices were strong, with the Average Selling Price being 98% of the Original Asking Price and there were no distressed property sales (REO Bank Owned or Short Sales) during 2014! * Needed significant maintenance & repairs to decks, floors etc.